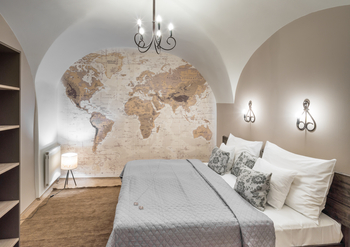 Six Continents Apartments is a vacation apartment house located in a historical building in the very center of Prague just 4 minutes walking distance from Old Town Square and Charles Bridge. 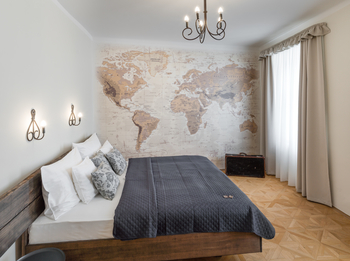 The residence offers 6 quiet apartments in the concept of a Coaching Inn, being the perfect place for travellers from all over the world to relax. All apartments offer comfortable King size beds with high-mattresses and fully equipped kitchens for self-catering. 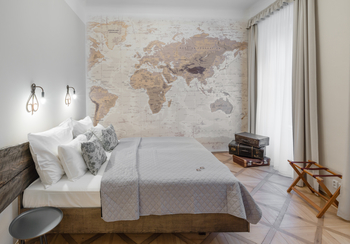 All rates include daily cleaning, fresh towels, bed linens and ecological hotel toiletries. There is a 24/7 reception only 1 minute away at the 3 Epoques residence where we will gladly help you with anything you might need during your stay. Private parking near the residence available for an additional fee (advance reservation needed). Very nice appartment, spacious and clean. Confortable bads and perfectly located. The reception is always opened and the stuff is very nice. 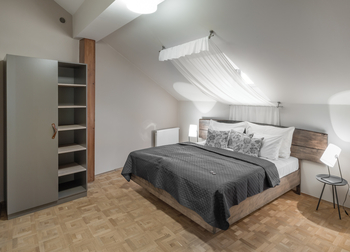 Enjoy your quiet stay in this cozy one bedroom apartment located on the 1st floor. All windows are facing a quiet courtyard, creating a calm atmposhere. It has one bedroom, a living room with kitchenette and a bathroom with a tub. Apartment can accommodate 2 guests in the bedroom and another 2 guests can sleep comfortably on the pull out sofa in the living room. 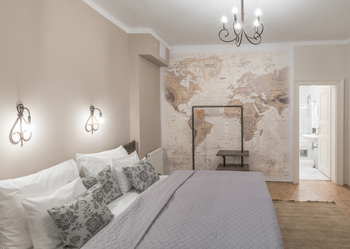 This cozy one bedroom apartment on the 2nd floor is perfect for your vacation stay. All windows are facing a quiet courtyard, as well as the veranda where you can relax after an active day in the city. The apartment has one bedroom, a living room with kitchenette and large bathroom with a tub. This homely one bedroom apartment on the 1st floor is ideal for a family or group vacation, where all guests like to stay together. All windows are facing the street. It offers one bedroom, a large living room with kitchenette and a bathroom with a tub. Apartment can accommodate 2 guests in the bedroom and another 4 guests can sleep comfortably on two pull out sofas in the living room. This homely one bedroom apartment on the 2nd floor is ideal for a family or group vacation, where all guests like to stay together. All windows are facing the street. It offers one bedroom, a large living room with kitchenette and a bathroom with a tub. 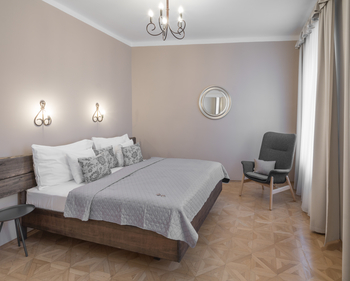 Come feel at home in this large apartment on the 4th floor that offers very large living spaces that can comfortably accommodate up to 6 guests. Apartment has two bedrooms, large living space with decorative fireplace, kitchenette and two bathrooms (both with a tub).